Caerhays is a romantic castle, historic estate and family home. It is also one of the country’s most important gardens and a centre for botanic research. A new book described the history of the house, gardens and families that have lived there. 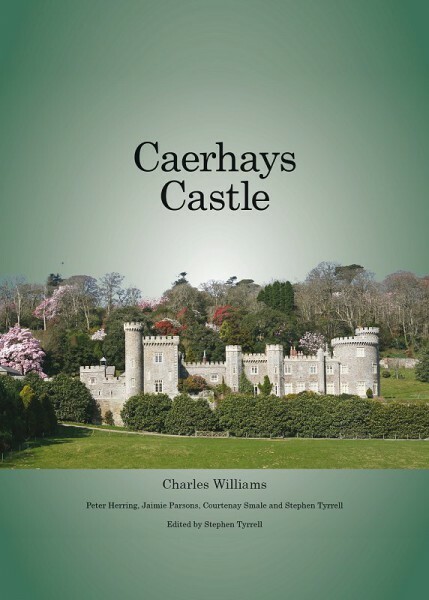 The book examines the history of the area from early times, goes into some quirky by-ways, and includes detailed tours of both house and garden, together with encyclopedic information on some plant species. The church, the coast, the countryside, even the sparkling mineral collection, receive attention. “I have just finished reading [this] book. What an informative book, well written and published…” R.S., Sutton Coldfield. Stephen Tyrrell, Charles Williams, Peter Herring, Courtney Smale, Jamie Parsons. 260 pages – Full colour throughout. Despatch to UK destinations only.